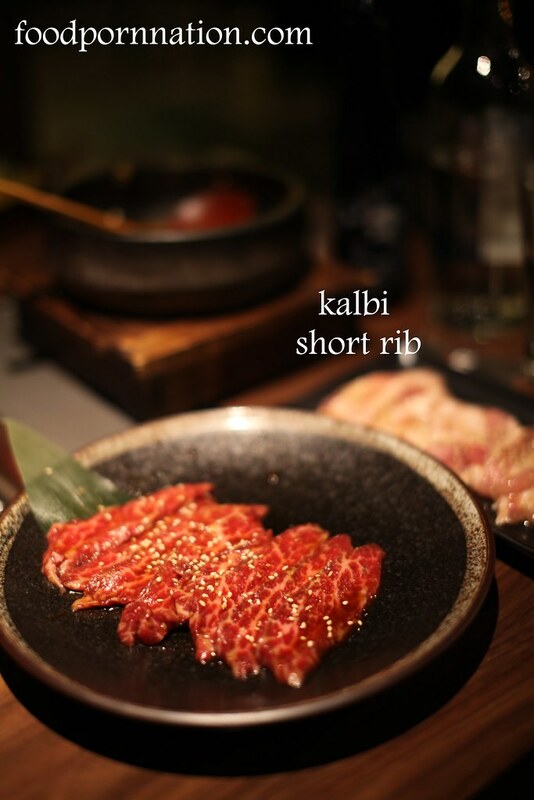 Kintan is the first yakiniku-style restaurant to open in High Holborn, London. Yakiniku literally translates into grilled meat and is considered as the Japanese take on the Korean barbecue. This is a style of Japanese BBQ where the diner can order a selection of bite sized meats, seafood and vegetables to be prepared over table grill. The best part of the experience is being interactive with your food and watching it sizzle away just the way you like it. Whilst Kintan specialises in grilled meats, there is a selection of appetisers, salads, rice and noodles. To start we ordered the hot oil seared salmon (£7) which came beautifully served with a house citrus sauce. 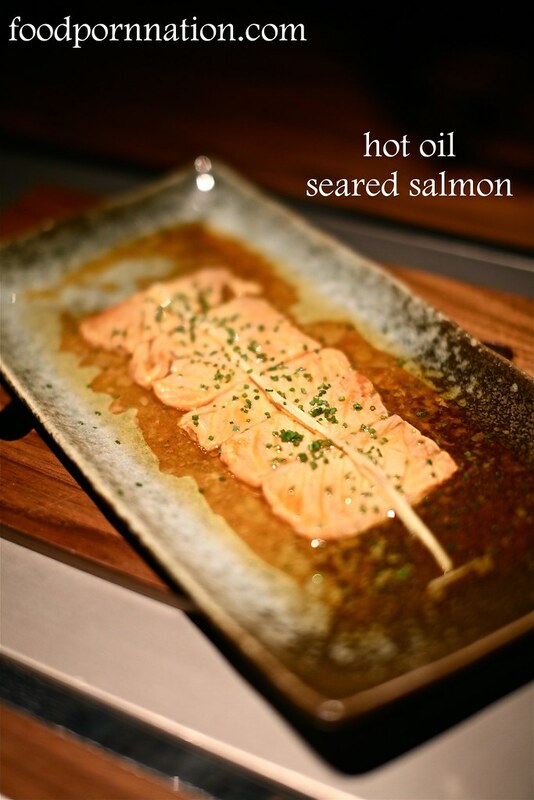 This sashimi grade salmon simply melted in the mouth as the hot oil gave the salmon a gentle warm sear. 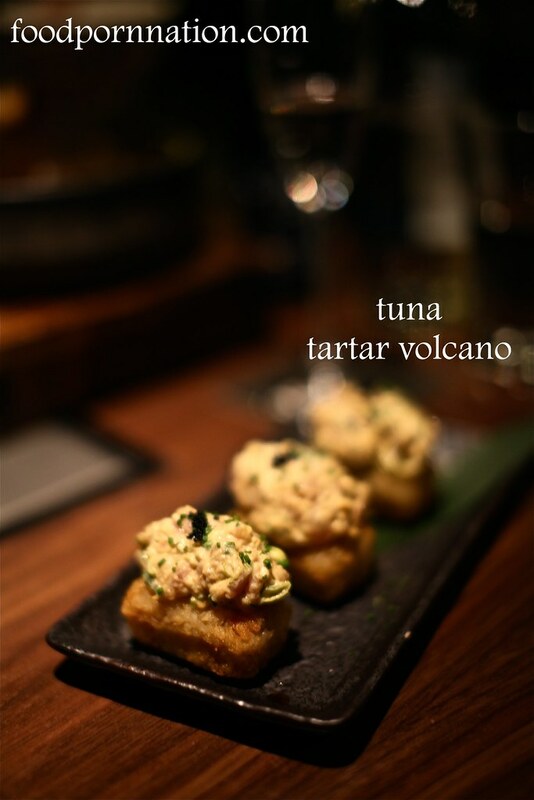 We also had the tuna tartar volcano (£7), the tuna tartar was prepared with a delicious spicy mayo. This was delicious and fresh but what made this dish really special was the textual contrast of the deep fried rice cracker against the creamy tartar and the addition of caviar sprinkled on top. The tofu chigae (£10), a spicy tofu stew was served with a combination of ground chicken, kimchee, enoki mushrooms and egg. The base of the stock was enriched with a gorgeous oxtail stock and enhanced with the spicy addition of kimchee and chiage (soybean) paste. 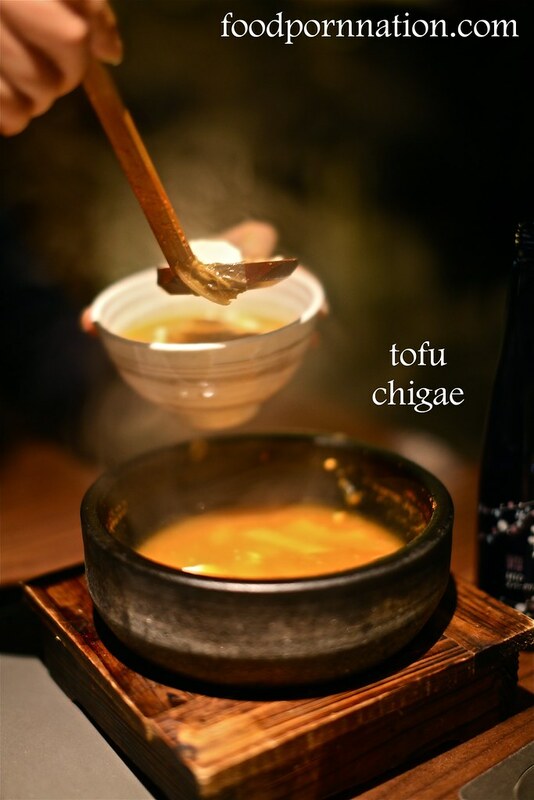 The highlight of this dish was the tofu itself, it had the most incredible, delicate and smooth texture I have ever experienced which absorbed the wonderful intense flavours of the broth. Unfortunately, the egg turned out overcooked and rubbery but otherwise this was still a fantastic bowl of soup with great intense flavours.